Piper Aircraft has announced an order for 12 additional Archer TXs to ATP Flight School. The delivery comes as part of an original agreement made in April of 2013 for up to 100 aircraft to the flight school. ATP, America's largest flight school, specializes in airline pilot training and pilot career development. The school initially agreed to purchase a fleet of 15 Piper Archer TX single-engine, piston-powered advanced training aircraft for delivery in late 2013, with the option for 85 additional Archers. "We are delighted with ATP's continued confidence in Piper Aircraft and our trainer products. Their consistent pace of aircraft orders and deliveries is a testament to the training equipment that we manufacture but also an indication of the growing pilot training activity," said Piper President and CEO Simon Caldecott. "Our training aircraft sales continue to grow given the unmatched performance and operating costs that these airplanes offer." "Demand for airline pilots is soaring — these additional Archers will help ATP meet that demand," said ATP Vice President, Justin Dennis. "ATP's new Archer fleet has logged over 75,600 flight hours, earning graduates over 1,730 FAA airman certificates and ratings. We appreciate Piper's commitment to manufacturing economical training aircraft that allow ATP to deliver pilot training at the scale necessary to impact the nationwide airline pilot shortage." As a classroom, the Piper Archer TX provides students everything needed to learn to fly safely. 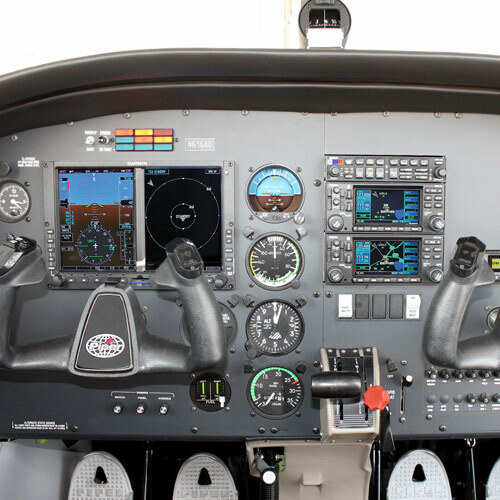 Standard instrumentation includes the Garmin G1000 glass cockpit system, a perfect mixture of low workload and high technology. Piper's specially created flight school interior, designed to withstand the rigors of flight training, is standard, and the option for factory-installed air conditioning adds to the Archer's appeal as a training aircraft. It is powered by the 180 hp Lycoming 0-360-A4M and offers 128 ktas / 237 km/h cruise speed.